PACE Southeast Michigan recognizes the growing number of seniors in our community needing quality health care and services. Our goal at PACE Southeast Michigan is to provide an affordable and inspiring alternative to nursing home care for our senior participants. 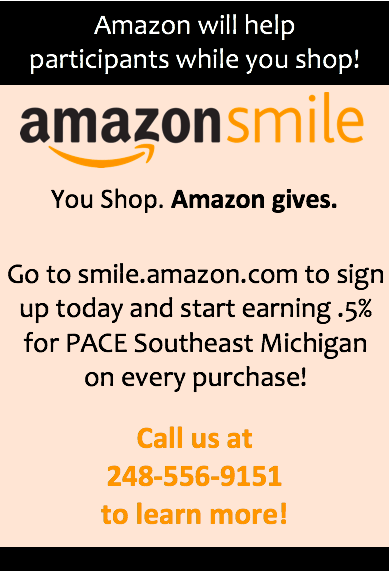 Your tax-deductible donation to PACE Southeast Michigan will keep seniors living with dignity in their own homes and communities. Your generous support provides basic and emergency needs to one or more seniors, as well as enriching and engaging opportunities.